Dolu My First Trike | Multicolour | It is built with sturdy plastic frame with lightweight and anti-slip pedal. Your little kid is sure to adore this tricycle and it will become his favourite. 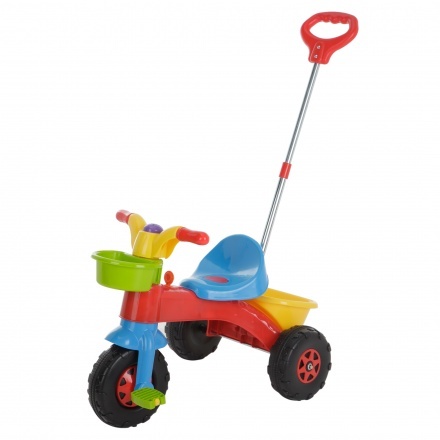 Sporting attractive colours, this trike has smooth wheels with pedals that make it convenient for your kid to ride. 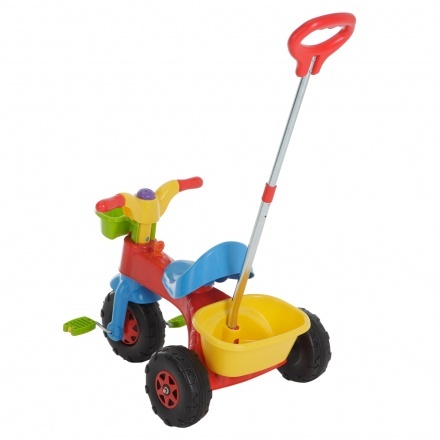 Feature 1 : It is built with sturdy plastic frame with lightweight and anti-slip pedal. Feature 3 : Made of plastic. 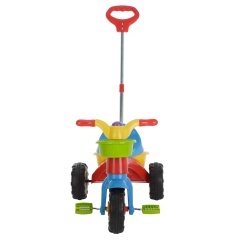 Feature 2 : It has a seat with back rest and can carry up to 15 kgs.